Our “Trimless” option was used for these AK Series fixtures in Wilsons Leather. The design allows the ceiling finish to end right at the edge of the lighted opening for a clean construction appearance. 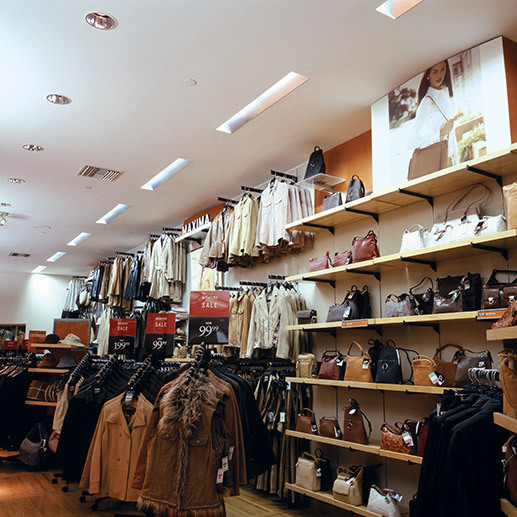 Excellent light levels and uniformity are provided for product viewing, with the fixtures mounted 3 feet from the merchandise and 8 feet on center. The quality of light appropriately accentuates the quality of the product.